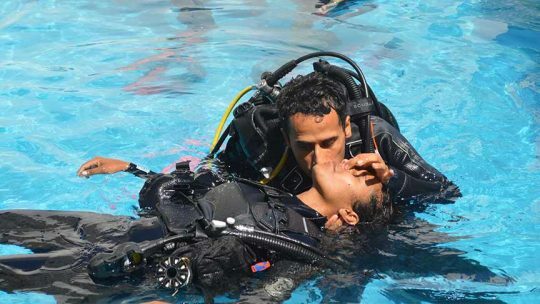 Be Ready to help other divers in distress with the Rescue Diver course. Divers say that is the most challenging and interesting course they followed. Be ready for the unexpected diving situations. It's time to think about your safety and the others divers around you. Divers said that the Rescue Diver Course is the most interesting course they followed. Be certified Advanced Open Water or level 2 of another training. Have followed an Emergency first response training in the past 12 months. Add the Emergency first response course to one of the rescue course and save 1,000 THB. During the 3 Days you will complete a knowledge development with your instructor and Rescue diver manual. Then apply the skills learned in a pool session with scenarios. Self rescue - You are the most important person so it is vital that you can look after yourself before attempt to rescue others. Recognizing and managing stress in other divers. Removing the problem before it starts. Rescuing panicked divers both underwater and on the surface. Rescuing unresponsive divers both underwater and on the surface. Swimming pool training with 10 skills and scenario. 2 boat training dives with scenarios in real environment. 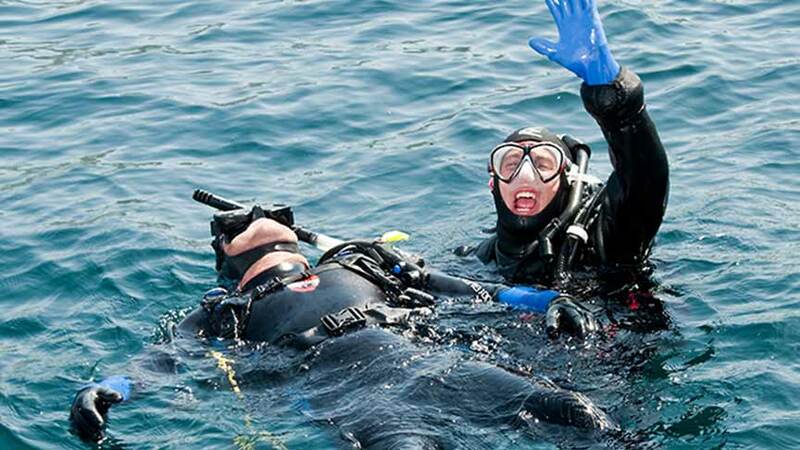 Why Doing a Rescue Diver Course? This is the next level after your Advanced open water course, you like to improve your knowledges and safety skills and be ready in case of problems happened during a dive for you or the divers in your group . This course is for you! This is not what we call a fun course but really a challenging, what you will learn will make the difference and may save life. Continue your training with specialty course. 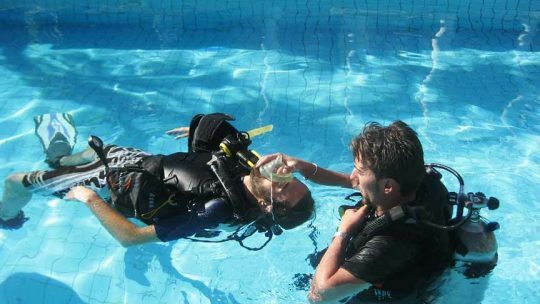 Enroll a Professional Course with the Divemaster.